Mangodi is dried moong dal nuggets and a speciality of Rajasthan. 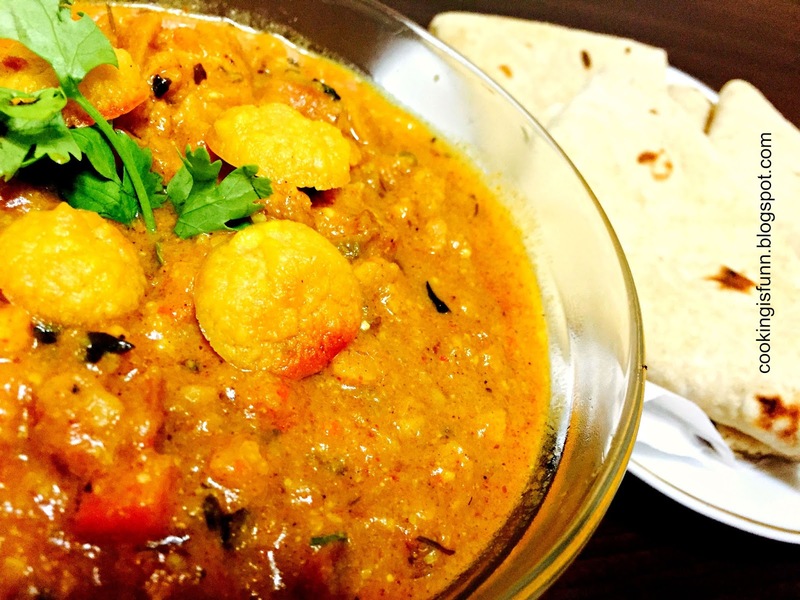 This dish is made with tomatoes, spices and mangodis. 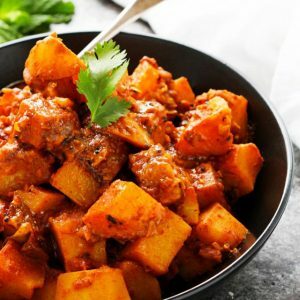 Best served as a side dish to rice or rotis. 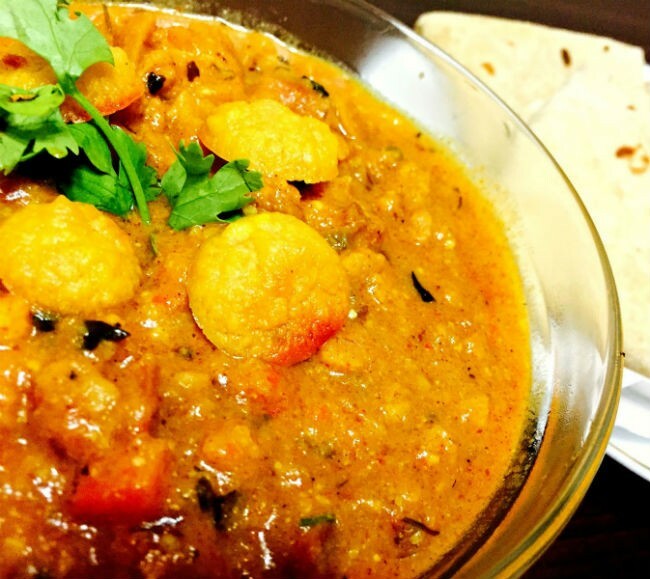 Moong dal Mangodi (Moong Dal Nuggets) – 150 gms, deep fried till light brown. 1. Heat the oil in a pan and fry the onions till golden brown. 2. Add ginger garlic paste and lower heat. 3. Add chilli powder, turmeric powder, salt and half of the coriander leaves and stir for 2 to 3 minutes, adding a little water. 4. Add the tomatoes.Cover with a lid and stir occasionally. 5. When half cooked, add the fried moongodis. 6. Cook until the oil floats on top. 7. Garnish with fresh coriander leaves and serve hot with rice. NOTE: Dry soya muggets can be used as a subtitute if mangodis are not available. 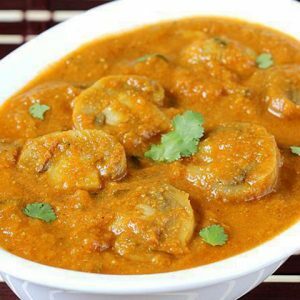 Feel free to comment or share your thoughts on this Mangodi and Tomato Curry Recipe from Awesome Cuisine.